God made us. While we were in our mother's womb, the LORD made us with loving care (Psalm 139:13-16). He made us with a purpose for our lives and a promise to be with us every step of the way. 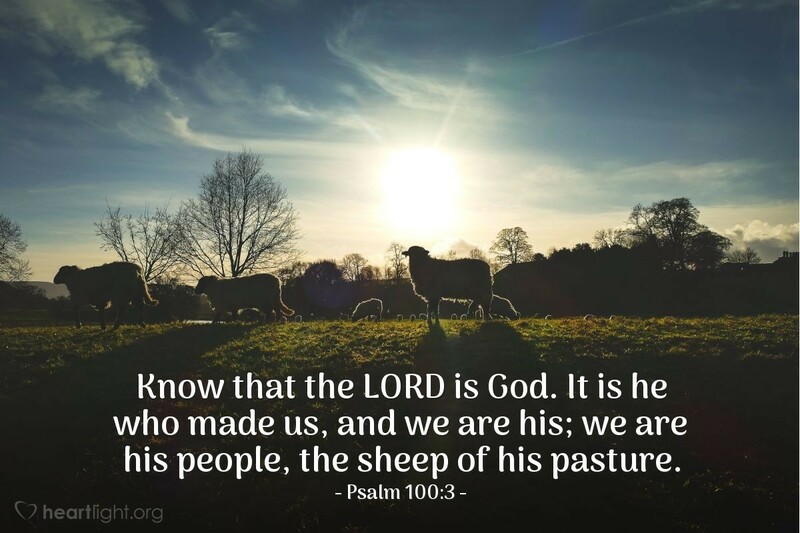 God cares for us much better than even the very best shepherd cares for his sheep. So let's live as those who know our Leader, Creator, and King! Let's display his character, share his grace, extend his mercy, and offer his forgiveness. Let's show that we are his people! I am truly thankful, dear LORD, that you are God. Thank you for being my Shepherd, my Father, and my Hero. Empower me as I seek to display your character and kindness to those around me. In Jesus' name I pray. Amen.